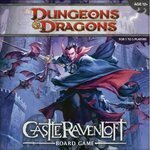 The master of Ravenloft is having guests for dinner – and you are invited! Evil lurks in the towers and dungeons of Castle Ravenloft, and only heroes of exceptional bravery can survive the horrors within. Designed for 1-5 players, this boardgame features multiple scenarios, challenging quests, and cooperative game play.